Start planning your trip to the Chinese Formula 1 Grand Prix in Shanghai. The next race takes place on April 11-14, 2019. Founded in 1949 after the Communist Party won the Chinese Civil War against the Kuomintang, the People’s Republic of China has a population of 1.41 billion. The transition from state socialism to a more capitalist system has fuelled the rapid growth of China’s economy, making it the second largest in the world and lifting more than half a billion Chinese people out of poverty. With 24 million residents, Shanghai is one of the world’s largest cities by population. The word “Shang Hai” literally means “above sea” which explains the city’s humble beginnings as a fishing village before the first Opium War. It is now a booming global financial center and one of the busiest container ports in the world. Known as the Paris of the Orient, foreigners will feel at home in a city that marries the east and west, particularly in its architecture. Shanghai is the birthplace of Chinese modernization and a cultural and economic hub in East Asia, The city is home to several important museums of regional and national importance and is at the heart of Chinese literature, cinema, theater and modern Chinese art and fashion. 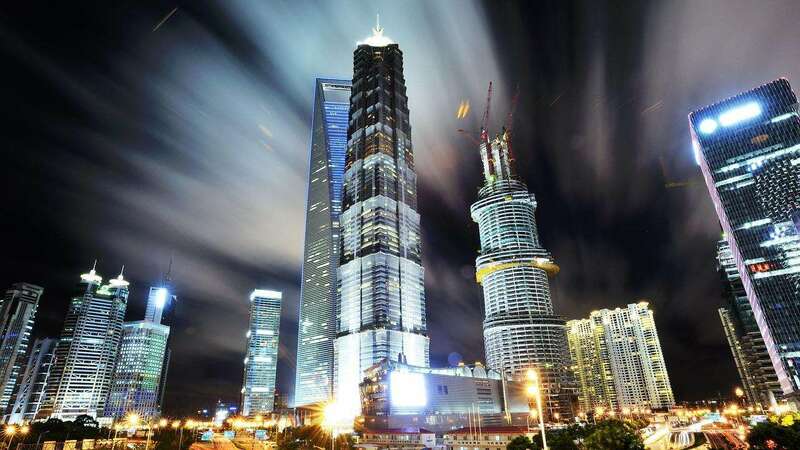 Over the past five years, the architectural landscape of Shanghai has influenced and inspired the cyberpunk culture with futuristic buildings like the Oriental Pearl Tower and Yan’an Elevated Road that are often bathed in neon lights. In recent years, China has adopted a 144 hour (6 day) visa-free policy in key areas of the country; including Shanghai. The Visa-free Transit Policy applies to visitors from 53 countries, including the United States, the U.K. and Australia. A full list of the countries to which the policy applies, and information on the documents you’ll need, can be found here. In 2019, further areas of China will adopt the same policy, which is worth bearing in mind if you’re planning to see more of the country on your visit to the Grand Prix. Click here for more information on visa exemption zones and eligible transit routes. If not exempted by the above agreements and regulations, foreign visitors entering China (except for those from Hong Kong, Macau, or Taiwan) will need to acquire the appropriate visa prior to their trip. You can apply for a visa at the nearest Chinese Embassy, the Chinese Consulate General, or the Chinese Visa Application Service Centre. Access to around 10,000 websites in China, including most social media sites, is blocked due to the country’s strict Internet censorship policy. If you’re hoping to keep in contact with your friends back home during your trip to Shanghai via Twitter, Facebook, Instagram etc., you’ll need to sign up for a VPN. This needs to be done before you vacate for China as you won’t be able to download the software once you have arrived. There’s information on how to do that and which VPNs are best here. It’s also worth noting that access to Google Maps is blocked (though the Chinese version is available), and even if you can access it, images may be outdated – so don’t rely on it for accurate directions! Don’t forget to get travel insurance and any prescribed medications before you travel. Even though OTC remedies are readily available in any Shanghai pharmacies and supermarkets, it’s still a good idea to bring medications for mild ailments like stomach aches, flu and fever. If you have allergies towards pollen, bring your antihistamines as the Chinese Grand Prix is held in spring. Should you fall sick, contact your hotel reception as there may be an in-house doctor on duty. Alternatively, they can refer you to the closest clinic. Finally, you are probably aware that China has a serious problem with poor air quality. Consider buying yourself an air mask if poor air quality is forecast (check here). Language has always been a big barrier when travelling in China, a huge country with many languages and dialects where English is not widely spoken. Even if you are lucky enough to be well versed in Mandarin, the official language of China, Shanghai locals mostly speak Shanghainese (a dialect of Wu Chinese) and may not understand you. Make sure you install a decent translation app on your smartphone to help you communicate with the locals more easily. Generally, Shanghai is one of the safest cities in the world and while petty crime remains a problem, the level of violent crime remain low. F1 fans should be vigilant of pickpockets in crowded places such as at the circuit, near tourist attractions and on public transport. Should you find yourself being a victim of theft or deceit, immediately lodge a police report at the nearest Public Security Bureau. While you may not recover what you have lost, you will have the report to file for a claim from your travel insurance. The Chinese currency is the Yuan Renminbi (RMB or CN¥). When changing money, the rate is the same nationwide and is determined by the central government. There are money exchange facilities at the airport, hotels and banks. Not that many Chinese bank machines accept foreign cards, but the situation is improving in large cities like Shanghai. Credit cards are accepted in major stores, but China remains a cash-based economy. Tipping is not expected; many establishments even observe a strict no-tipping policy. 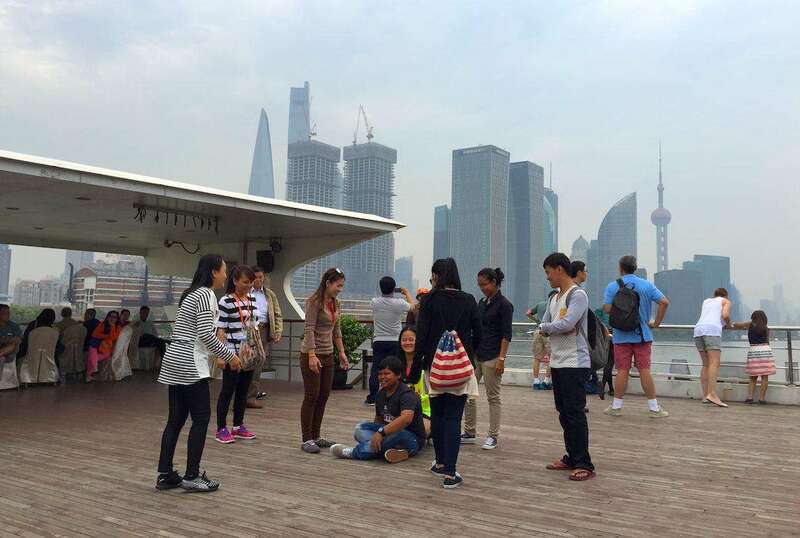 Weather: in general, Shanghai has a mild and humid climate with four distinct seasons. The Chinese F1 Grand Prix is held in spring, often cited as the best time to visit Shanghai. Daytime temperatures range between 11-19˚C (52-66°F) and rain is not uncommon. China uses type A and type I power sockets. European/US appliances should work with type A and Australian/NZ appliances should work with type I, but it’s worth taking a universal adapter, just in case. The third round of the 2019 season marks a milestone weekend for Formula 1 as the series celebrates its 1000th World Championship race. Here’s everything you need to know ahead of the Chinese Grand Prix weekend! Your guide to buying tickets for the 2019 Chinese Grand Prix at the Shanghai International Circuit. 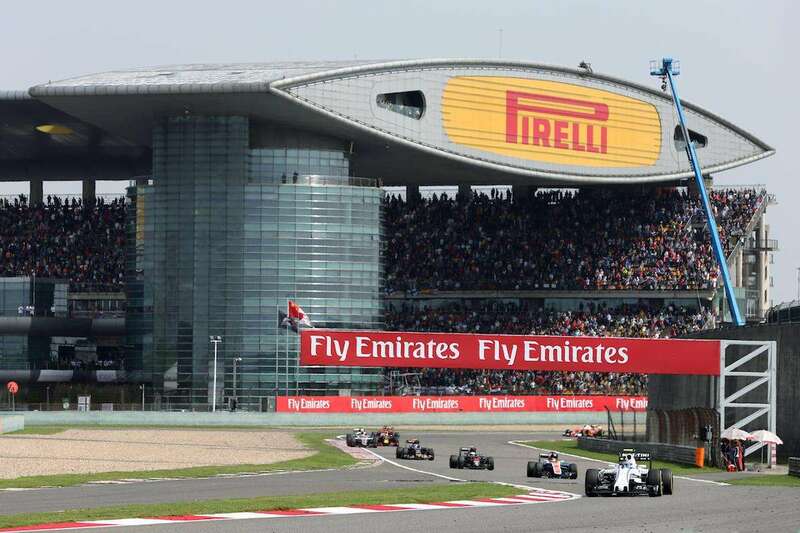 Work out the cost of your trip to the Chinese Formula 1 Grand Prix with our budget planner. There’s plenty to keep you occupied away from the track in Shanghai at the Chinese Formula 1 Grand Prix. The next race is on April 11-14, 2019. 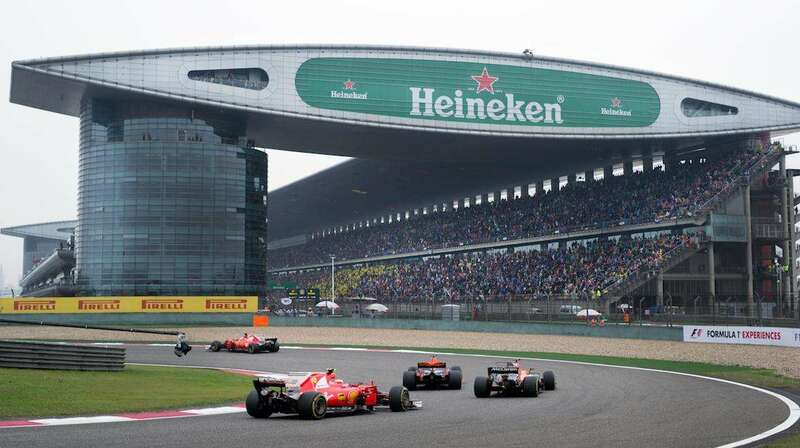 How to get to Shanghai for the Chinese Grand Prix plus advice on getting to the circuit and getting around in China’s biggest city. Where to stay in Shanghai for the Chinese Formula 1 Grand Prix. The best-rated accommodation with good access to the Shanghai International Circuit. I just found out that there is not just a 72h visa free transit in Shanghai possible, there is also a 144h visa free transit possible. That’s really valuable info Robert, thanks a lot! You’re welcome Andrew, from one fan to others!